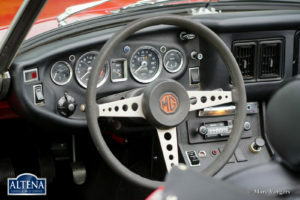 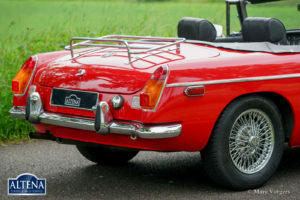 MG MGB roadster, year 1972. 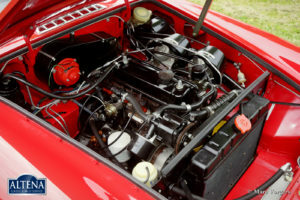 Chassis number GHN5UC2648XX, engine number 18V584Z-L52XX. Colour red with a black leather interior and black carpet. 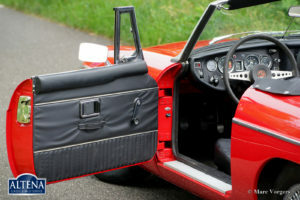 Black soft-top and tonneau-cover. 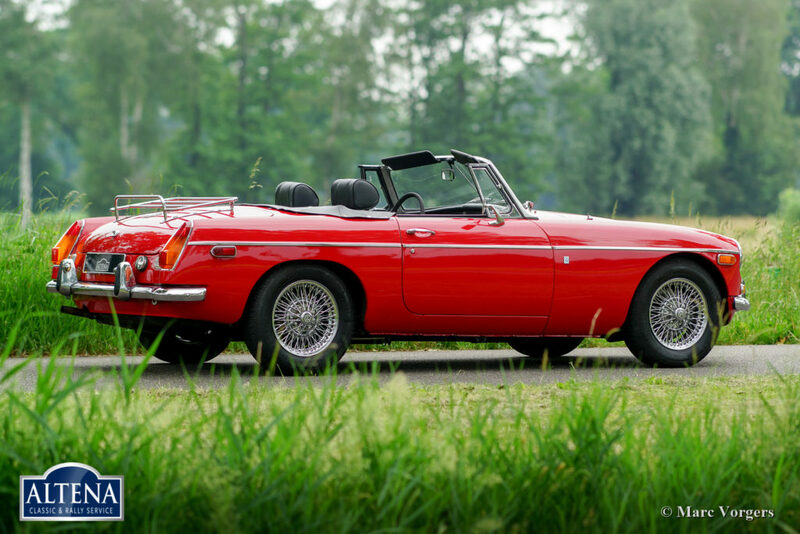 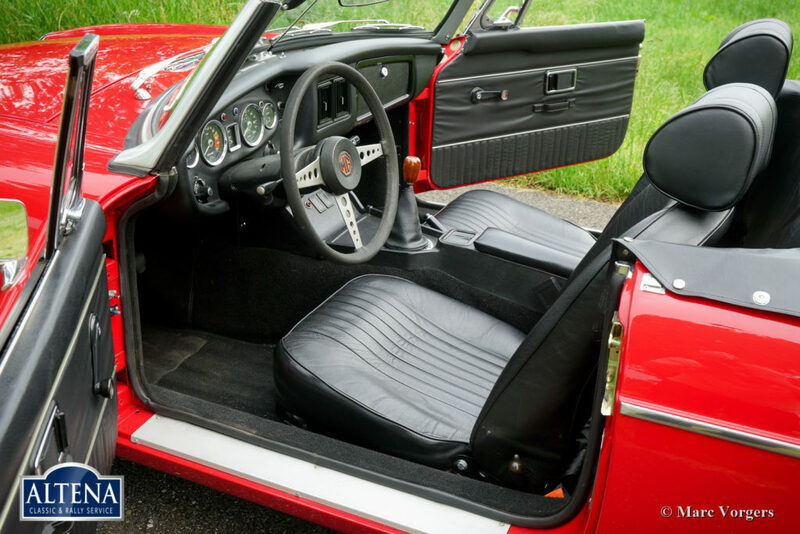 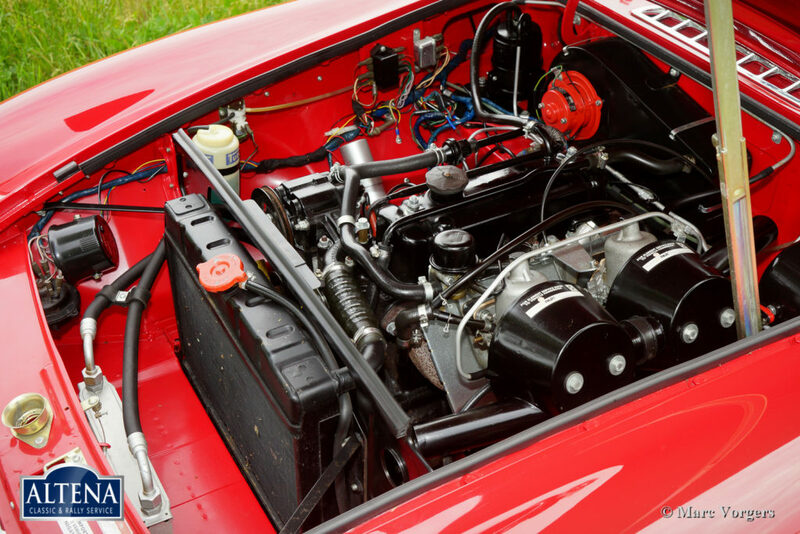 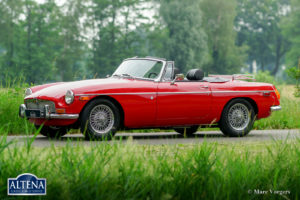 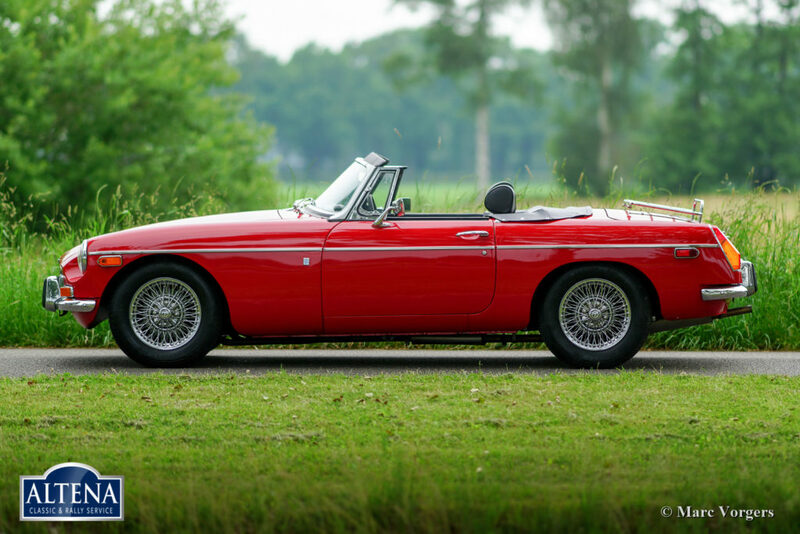 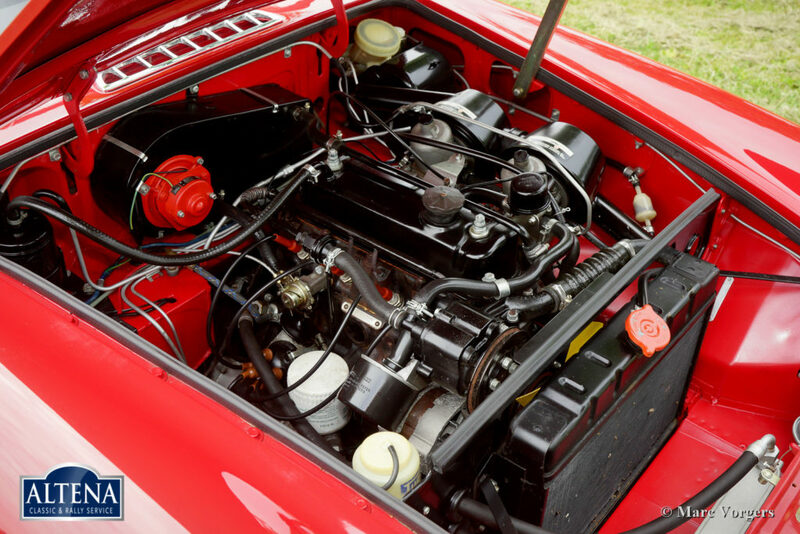 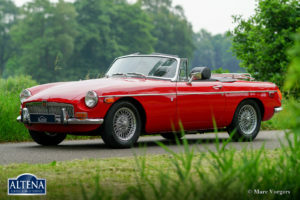 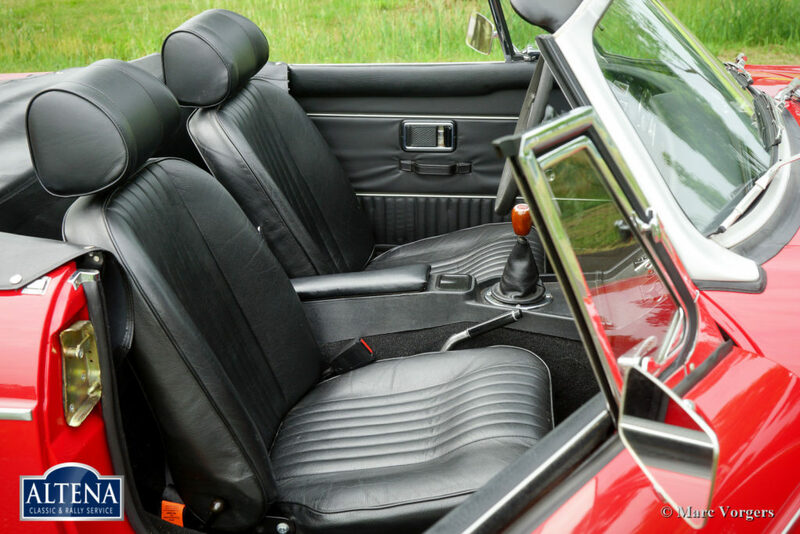 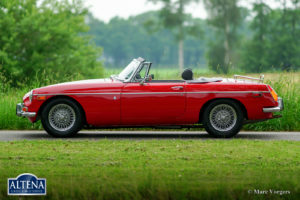 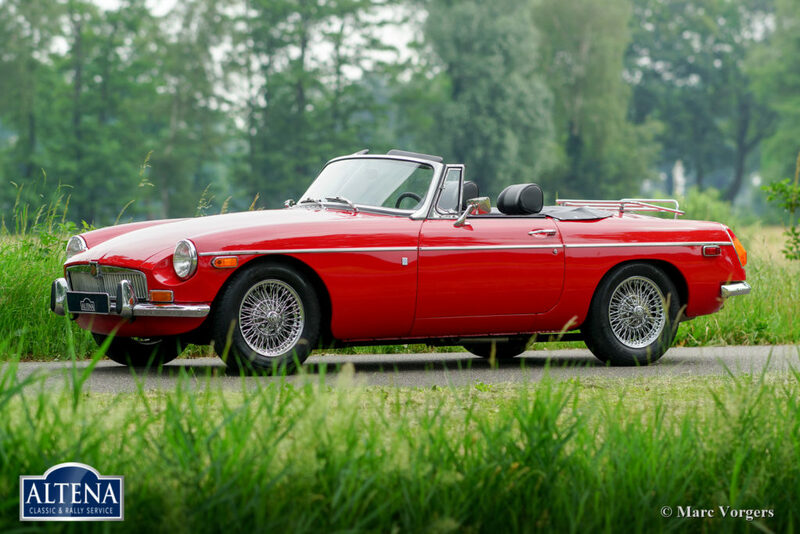 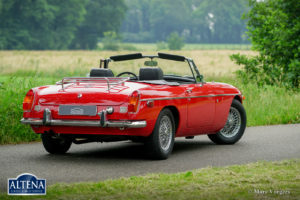 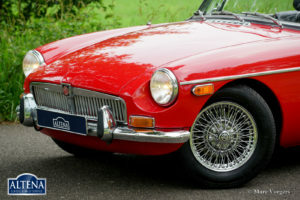 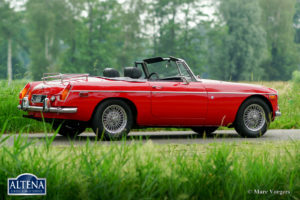 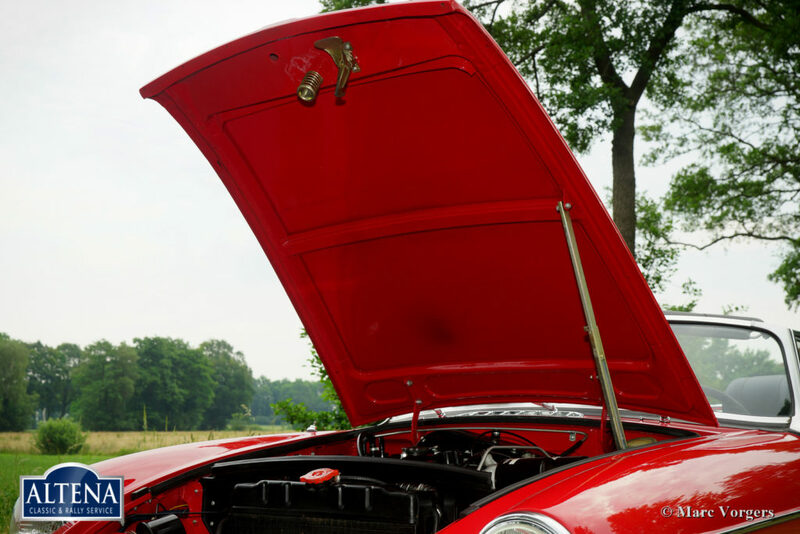 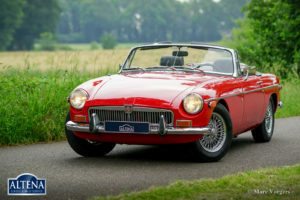 This beautiful MGB roadster was imported from the USA by Altena Classic Service in 1994. 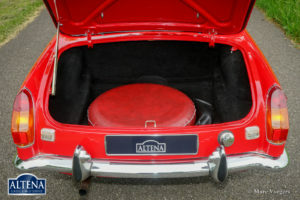 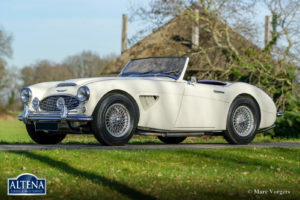 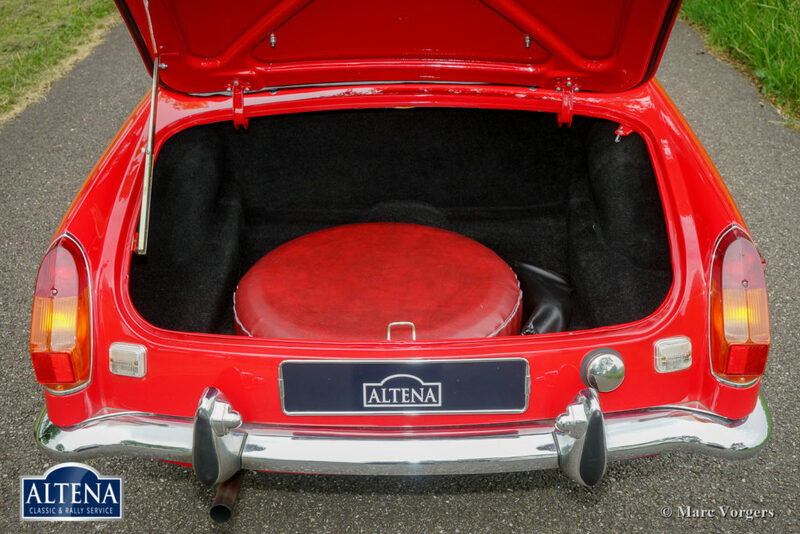 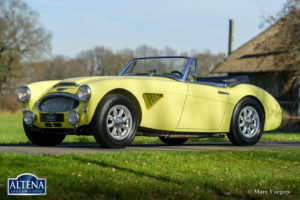 After arrival in the Netherlands the car was fully and ‘body-off’ restored and overhauled by Altena Classic Service for its owner, a photo report of the restoration is present. 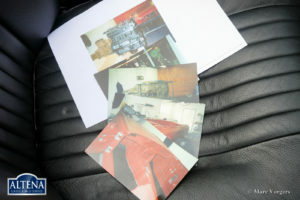 The restoration was a very thorough job, no expenses were spared! 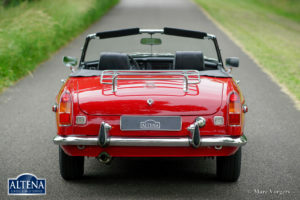 In the year 1996 the car was road-registered. 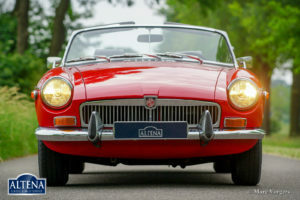 The MG has known only one owner ever since! 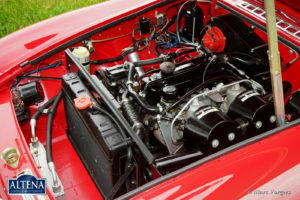 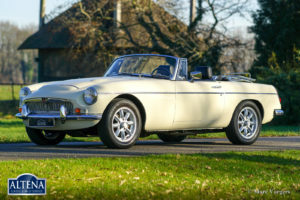 This fine MGB roadster is in superb top-condition and the car drives perfectly! 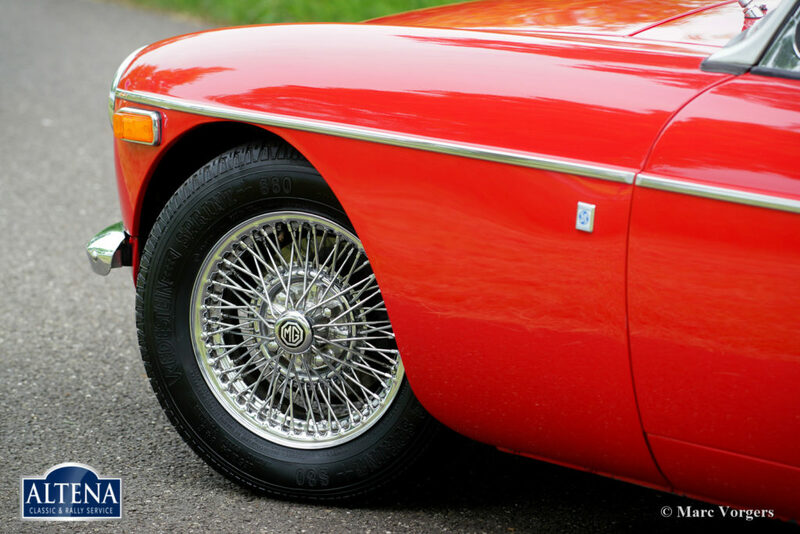 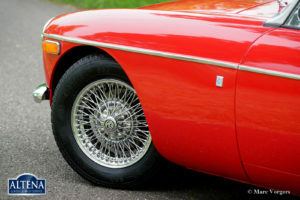 The car features chrome ‘bolt-on’ wire wheels and Vredestein Classic Sprint tires. 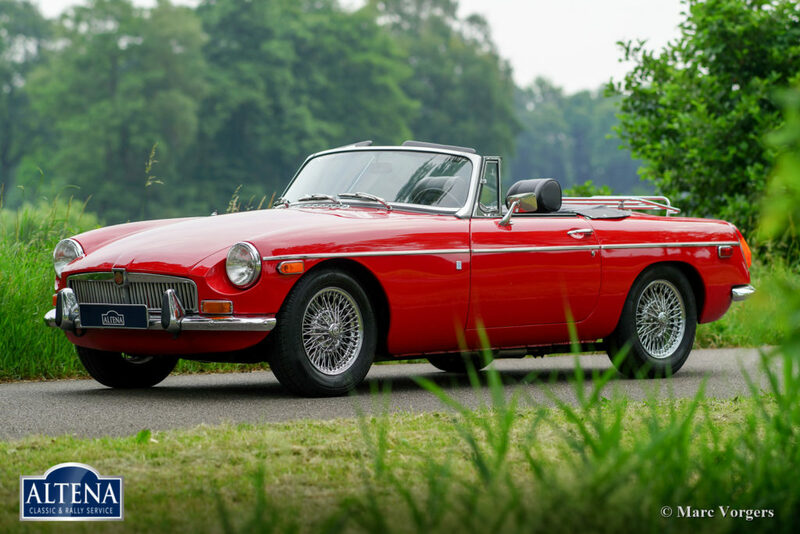 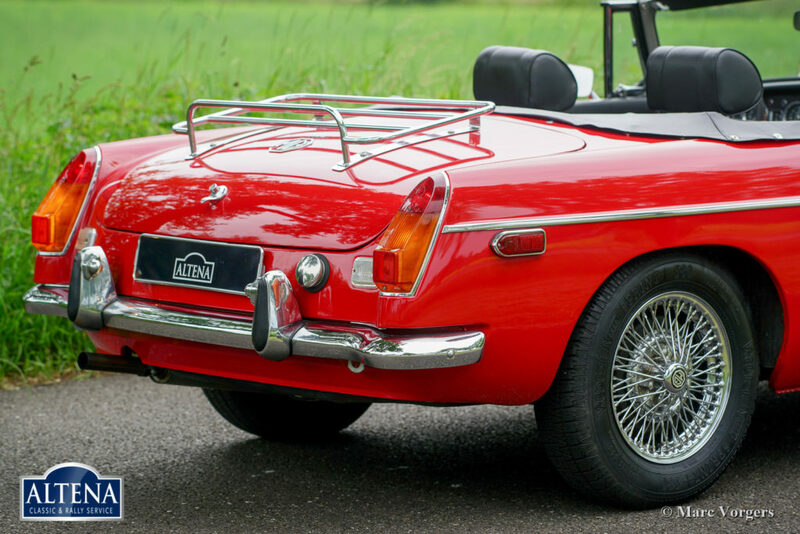 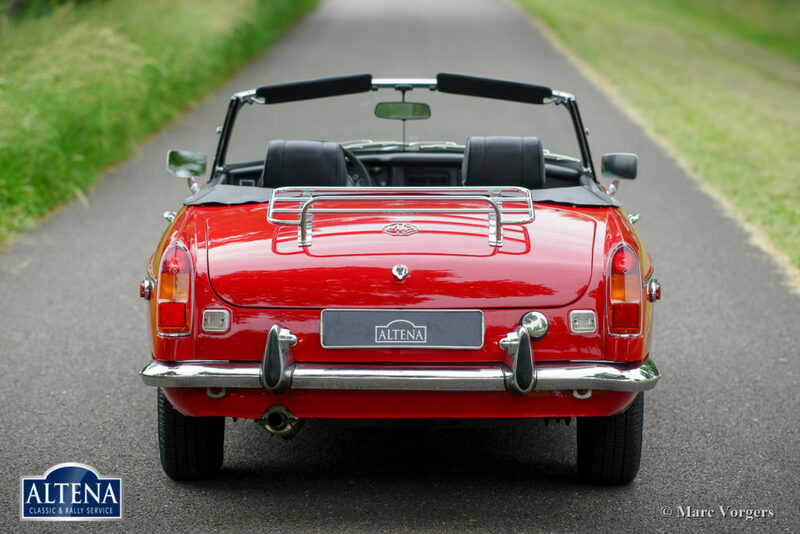 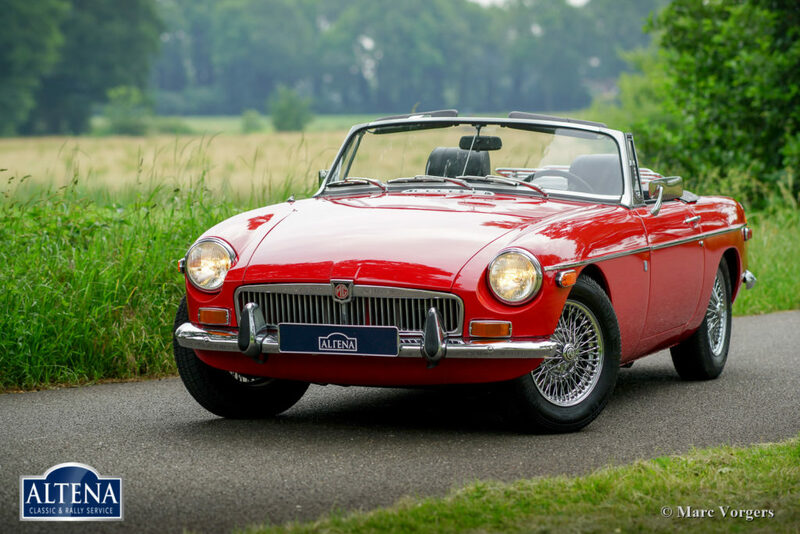 This superb MG MGB roadster is ready for an unforgettable summer!